of all he met..mischievous, funny, smart, and forever making us laugh. 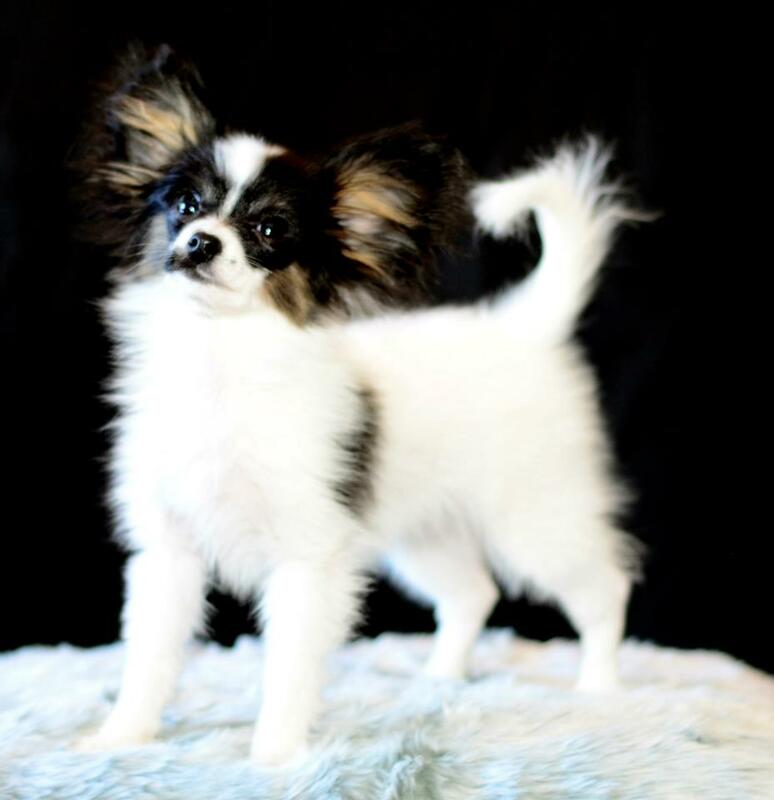 showing and sharing this beautiful breed. 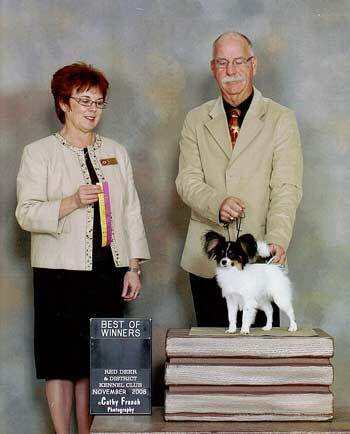 of America... the Southern Alberta Toy Dog Fanciers Club, the Calgary Association of Dog Fanciers. I have had the honour to work very closely with the Marron and Arkeno kennel in the past and feel very fortunate to have strong Canadian lines in our program. That, blended with superb English blood lines of Sunshoo/Gleniren, form the foundation of Prestwick. 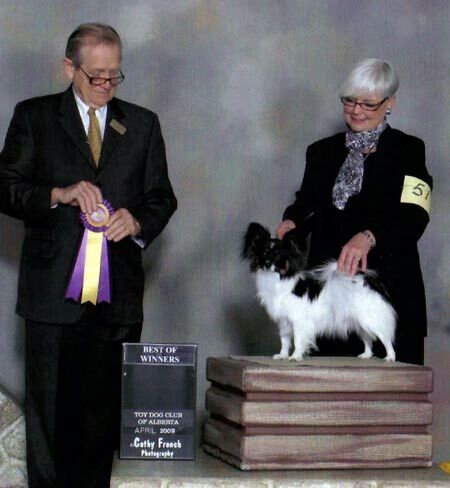 My goal is to breed quality Papillons that win accolades in the conformation rings, Papillons that excel in the performance rings and Papillons that win the hearts of all as loving companions. pages you will gain more insight into the vision and passion of Prestwick Papillons.